Sonja Finn is the Chef and Owner of Dinette, and Consulting Chef of The Café Carnegie at Carnegie Museums of Art and Natural History. 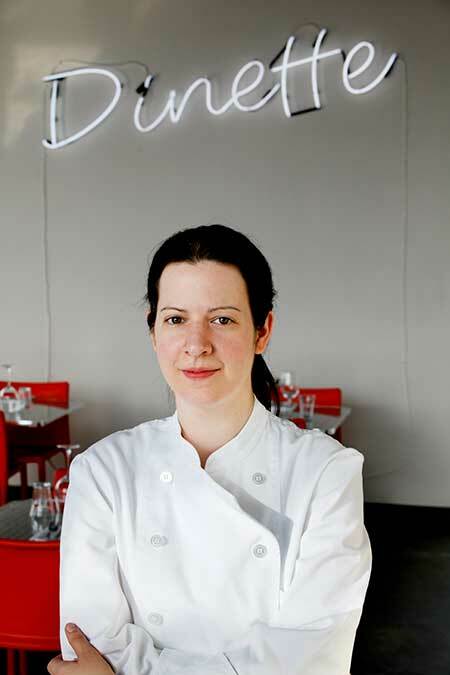 Since opening Dinette in 2008, Sonja has twice been a semi-finalist for the James Beard Foundation’s “Rising Star Chef of the Year” (2009 and 2010), was number 10 of Mother Nature Network’s “40 Chef’s Under 40,” one of the Pittsburgh Post-Gazette’s “Young Pittsburghers to Watch in 2009,” twice a regional nominee for Food and Wine’s “Peoples’ Best New Chef” (2011 and 2012) and an ACDA “Woman of Achievement” (2017). Sonja’s also a Culinary Institute of America (2003) and Columbia University (2001) grad.